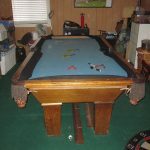 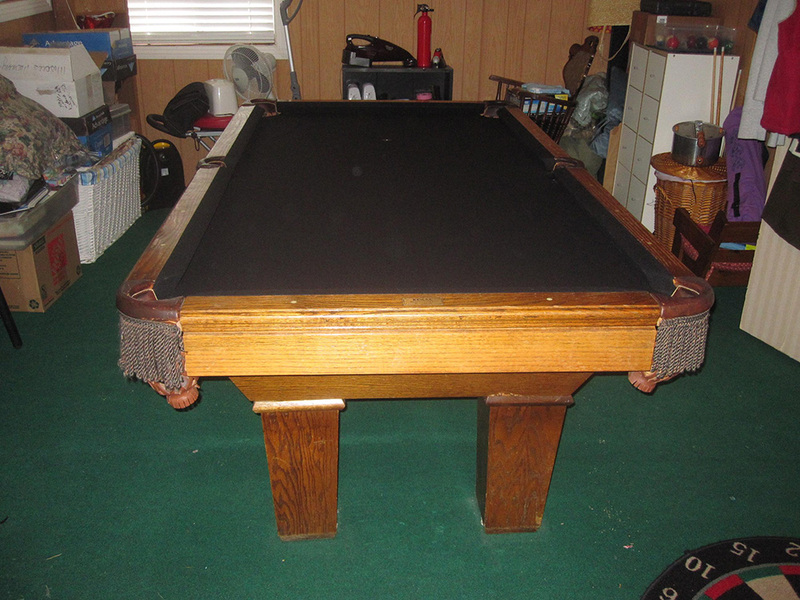 Here’s an old seven foot one piece slate pool table we recovered in Whittier, CA. 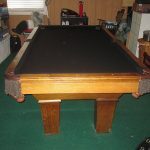 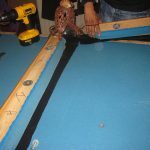 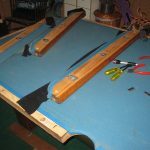 This pool table was manufactured by Regal Mfg. 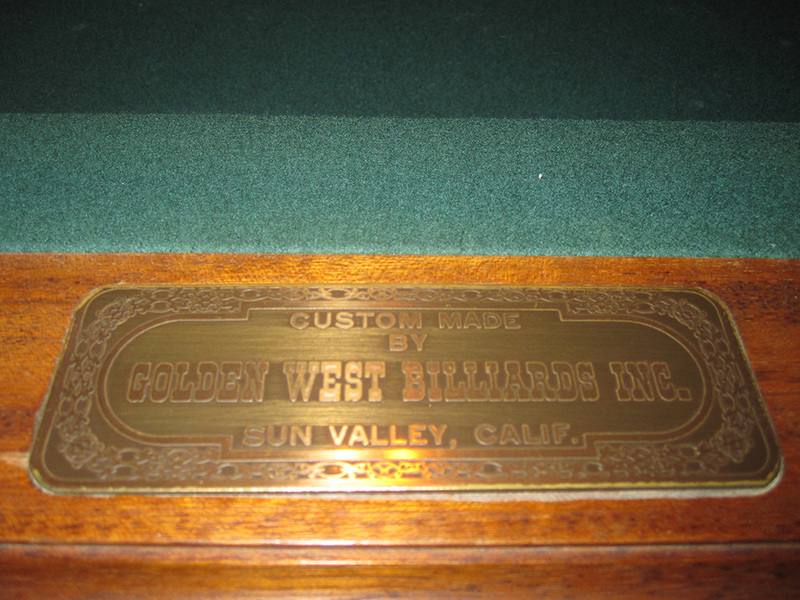 in the mid 1980’s. 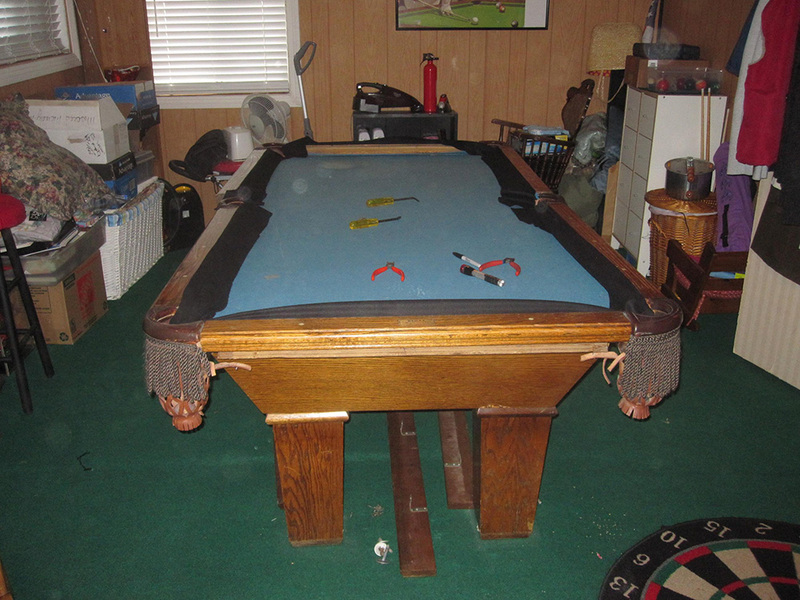 This old pool table has been moved several times by two different owners. 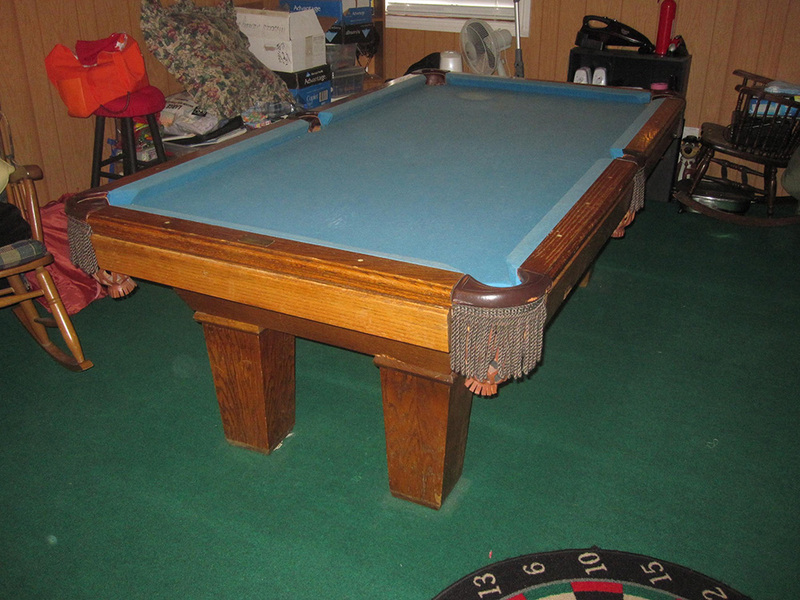 The seven footer has been residing in this Whittier home for the last 15 years. 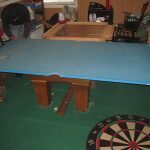 The old std. 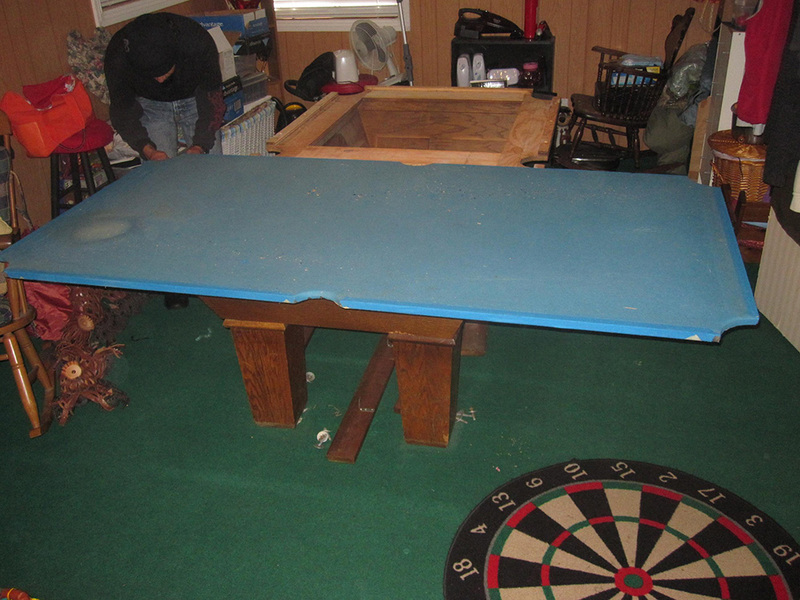 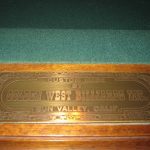 green felt was in pretty bad shape, the pool table owner’s son is actually going to be inheriting this family treasure. 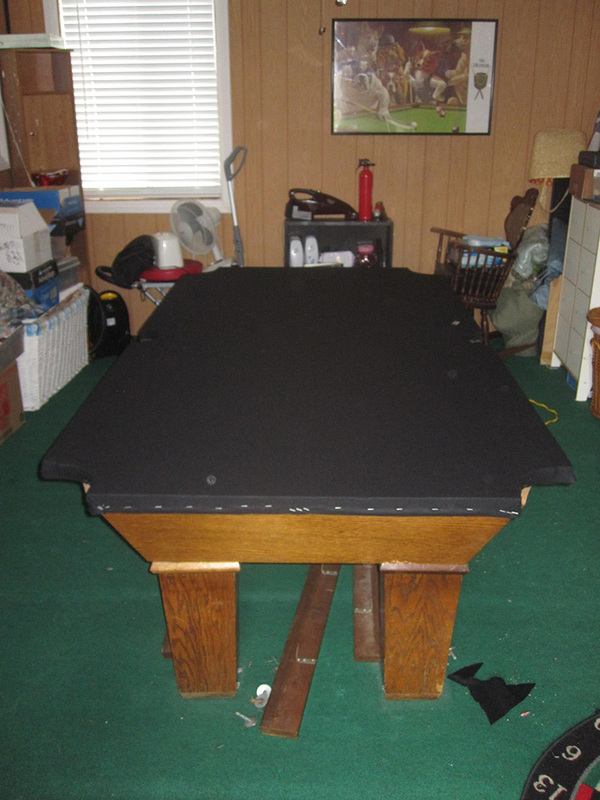 The son’s wife was the one who hired us to refelt the table in black. 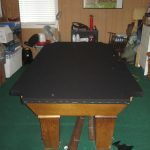 On Christmas, everyone is going over to Mom and Dad’s house to open gifts. 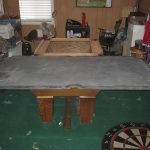 That’s when the pool table will be unveiled. 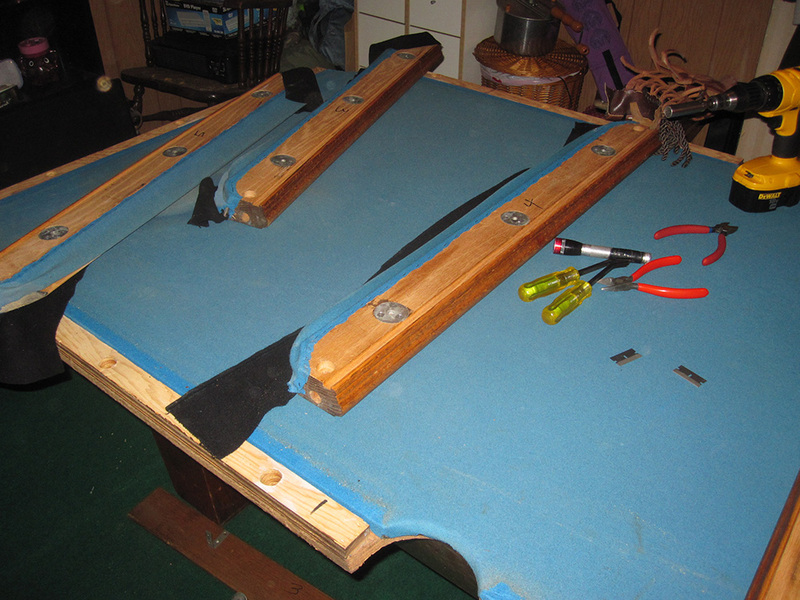 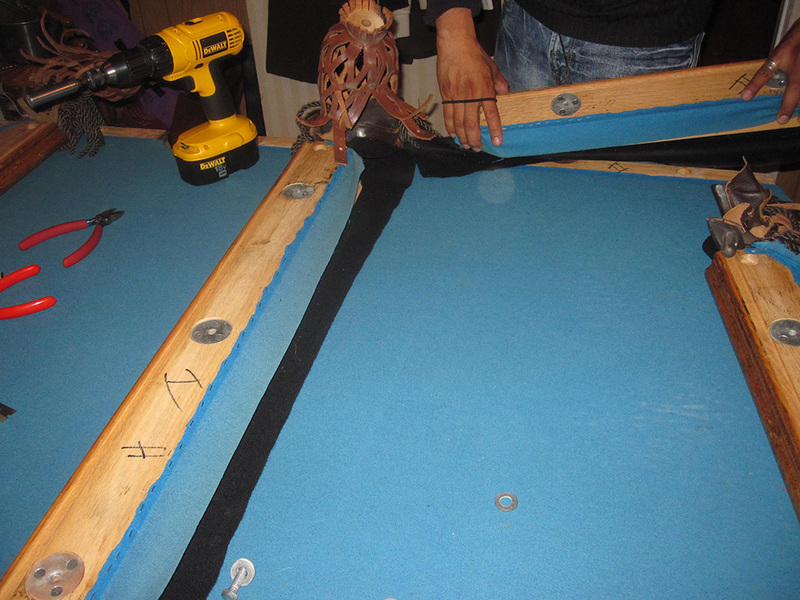 The good news is, sonny boy is getting freshly refelted pool table. 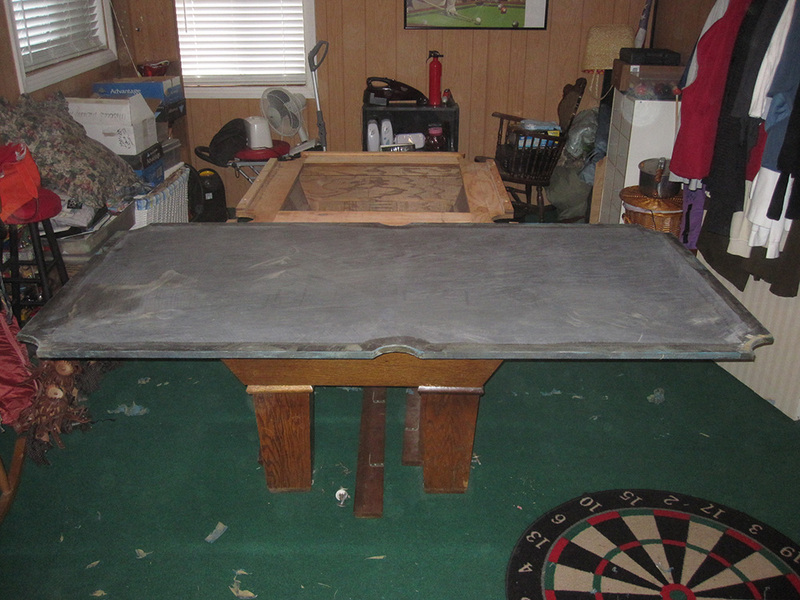 The bad news is, the son and a couple of his family members have to move the seven foot single piece slate table themselves.